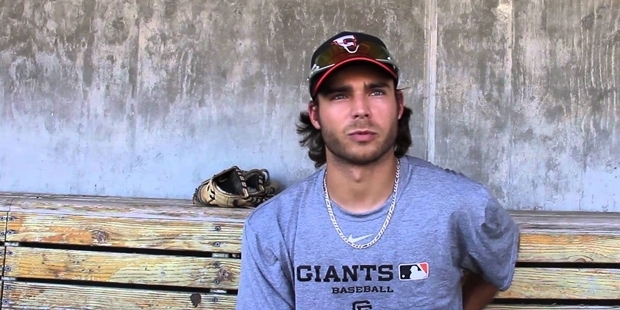 Brandon Crawford is and American professional baseball player. He plays for the San Francisco Gaints in Major League Baseball. He is the sixth player to hit a grand slam in his first major league. Crawford was named the teams “Most Valuable Player” twice while playing college baseball. Crawford was born in Mountain View and grew up in Pleasanton. He had been a Gaints fan even as a kid and his family purchased seasonal tickets when the ballpark opened in 2000. He showed love for sports since the age of three. He started playing football, basketball and baseball as a young kid. Crawford played baseball during his college when he was a student in UCLA. He was named to the theAll-Pac-10 conference team in 2007. HE was selected for the fourth round of 2008 Major League Baseball Draft by Gaints and started his professional season with Class-A in 2009. In 2010, Crawford opened the season in Double-A but had to quit baseball for 2 months due to broken hand. 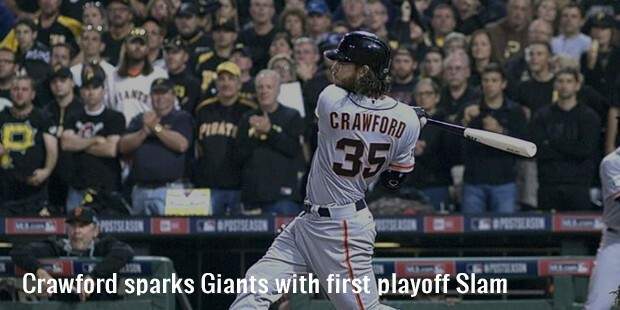 Crawford made his Major League Baseball debut in 2011. 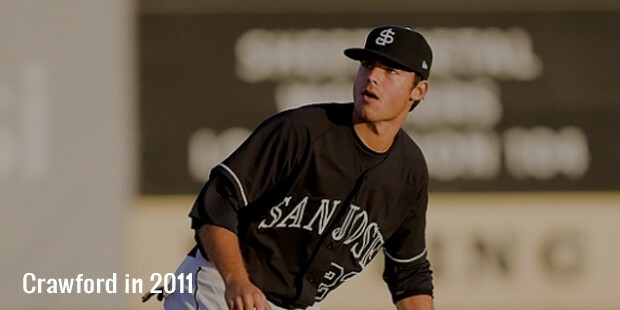 He started his full season as a professional with Class-A Advanced San Jose Gaints. He hit 371 with home runs in 25 games, with six homeruns. He was later promoted to Connecticut Defenders and scored four runs in 108 games. 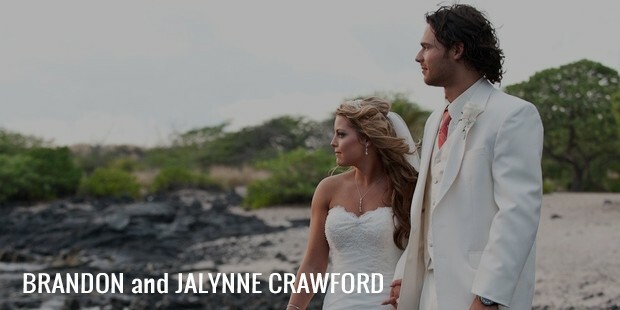 Crawford married Jalynne Dantzcher, a former UCLA gymnast in 2011. They got married in Hawaii and are blessed with two beautiful daughters.